I just want to clarify I'm not trying to push or sell any product here, but I'm often asked about my favorites. So I thought I'd just post about them real quick. I use the redefine line of skin care, I had first tried it a few years ago and really loved the way it made my skin feel but it was pricy to order directly off the site so I tried a number of other products and ended up going back to R + F. I do have to say I usually get 4 to 5 months out of a kit even though the site says 60 days and I wouldn't say I use it lightly. I also use the roller, I do like it, definitely has helped with my pores and old acne scars. My favorites have to be the sunless tanner and the lash boost. Both amazing! The sunless tanner reminds me of St. Tropez but for half the price. I always use a tan mitt to put it on (got mine for $6 at Ulta) and make sure to put a lotion on my ankles, knees, elbows and wrists ahead before I tan. 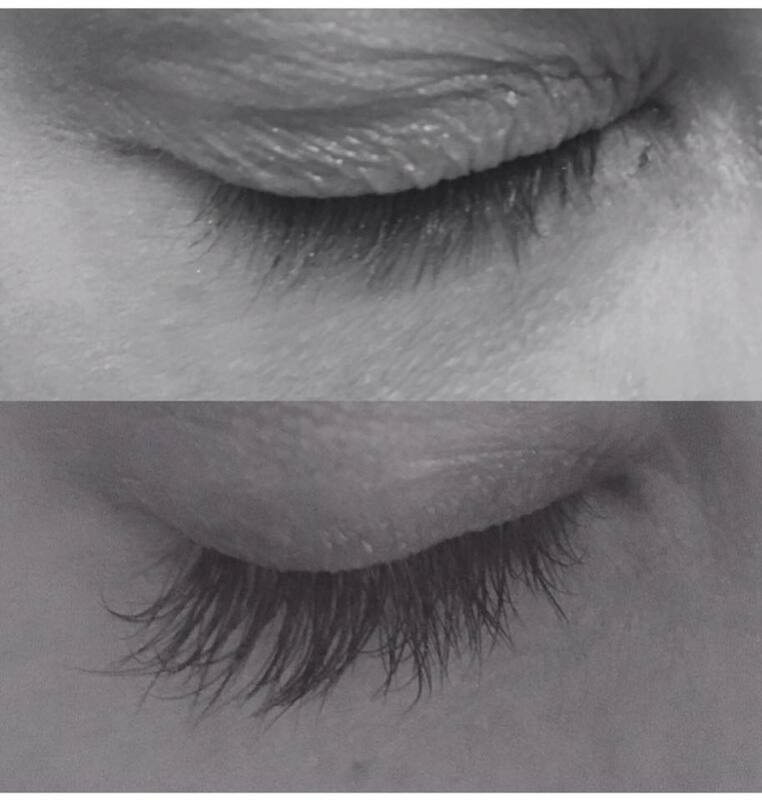 Lash boost is also an amazing product. I attached my before and after (12 weeks) I know it's a creepy up close picture - but it really works! Plus I'm just finishing my first tube that I started in Mid March and I'd say I use it on average 5 days a week. I also really like the Microderm scrub, I use it about 2 a week and it makes my fave feel so soft. Plus that jar I think will last about forever. I just started using their face powered, I like it, it's a nice powder and I guess it has some good stuff in it too so that's an added bonus. Lastly, I've used their lip serum and scrub, both nice. The lip scrub is nice before putting on matte lipstick.